With so many modern worship releases currently being criticised for falling into a safe Brit pop/stadium rock stylistic template the release by Joining The Dots of Ryan Baker Barnes' 'The Deepest Part' is particularly welcome. Here is an album of rock worship songs which doesn't in any sense cling to formula with producer Julian Kindred bringing out inventive arrangements to compliment Ryan's passionate anthems of worship. But an even more impressive fact about this particular batch of congregational songs is that some were birthed in the supernatural manifestations of the Holy Spirit which has become known as the Dudley Outpouring. The Revival Fires church in Dudley, West Midlands, was, like the more famous Lakeland Church in Florida, for a season caught up in extraordinary events which saw, amongst other things, numerous healings, large numbers of conversions and a tangible sense of God's holy presence expressed in daily worship meetings. 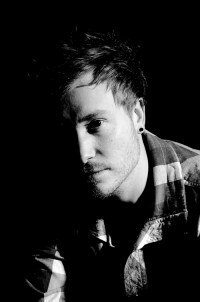 Revival Fires worship leader Ryan Baker Barnes came to Cross Rhythms to talk about his album but began by describing the Dudley Outpouring. "We didn't brand it 'Dudley Outpouring' but it was something which that season of extended meetings in 2008 came to be called. What happened was that Trevor Baker, the pastor at Revival Fires who is also my father-in-law, and I went over to Ignite Church in Lakeland, Florida very early on - I think it was the second week, before it was live on God TV. Something so powerful was going on, God was just amazing. We came back and said, 'We're going to have an impartation meeting Sunday night', so we sent one email out advertising it. The Friday night before, I was down to preach. We used to do Friday night meetings and call them revival meetings, we'd give a bit more space for worship and let God move, making sure we always ministered to people if they wanted prayer. I was starting to preach, just going to share my testimony of going to Lakeland, and I couldn't even finish: God came in, I was in a heap behind the lectern. God was doing something, people were feeling his presence very strongly. When Sunday night came, Trevor was ministering, and over 800 people turned up! We worshipped and prayed for people, and the same healings that were happening in Lakeland started happening in Dudley. That was the 27th April and it kicked off from there. We decided to have a meeting the next night to see what happened; that continued for three months, night after night. I really developed as a worship leader." Continued Ryan, "I led worship 39 nights on the trot, which was crazy. It was an incredible time. It was full-on, but there was definitely a grace for it. We changed our office structure: we only came in at three in the afternoon and stayed through until the end of the meeting - we changed things to make it more manageable. After a couple of months we started raising up local people to be involved in it. All of a sudden people were promoted, others were having to lead worship, having to host and flow with God. It was really amazing building a relationship with some local churches; we just got them on board. It was a fruitful season with that. It also had its difficulties with being away from home that many nights at a time. We felt it was something divine, and we just had to go with it." As many will remember, the Lakeland Outpouring ended in scandal when revivalist Todd Bentley confessed the breakup of his marriage. Intriguingly, Bentley's very visible fall from grace didn't greatly affect Revival Fires. Said Ryan, "I'm sure it must have affected some people's perspective of us, but there wasn't a huge knock-on effect for us in Dudley, the move had gained its own momentum here. Also, by then things started to happen in other churches as well, and that's when our meetings started dissipating. There was stuff happening around the country - which meant people didn't have to travel to Dudley. So we started to pull back to weekend meetings." Ryan spoke about the three and a half years since the Dudley Outpouring. "It's amazing how the time goes. I'm really grateful for some of the strategic changes that happened in that season. For pretty much a year we were running with those meetings, and God was doing things. The next six months we kind of went back to how things used to be, with conferences and events, and it wasn't working the same way. We knew that as a church one of our mandates was to be a resource centre, and one way we do that is through conferences. We didn't want to give up while conferences were down. It was around the same time the recession hit; a lot of events were cut across the country. Trevor made a decision to keep ploughing, and sought God over which speakers to bring in. Through that, the new relationships with fresh people that Trevor brought in, we saw fruitfulness in our events and exciting changes to the way we've done things. We also restructured the leadership in the church. The team had grown, because we were doing so many meetings. It didn't make sense to go back to just a few people doing most of the ministry. Plus, Trevor and Sharon had a lot more invitations to minister: Europe was starting to open up. So the leadership team had expanded and we just kept giving opportunity and platform. From that, a lot of ministries started to be birthed. Not just at church on Sundays, because that's a small part of people's lives. Ministry started to happen in everyday life. We started doing healing clinics, next we started reaching out to the community through events, we started feeding programmes. In the last two years, focusing on the community - just being good news to people locally - we've seen so much growth. Healings have kept happening. The hunger has stayed, which has been amazing. God's presence has stayed. The way that it's happened has been different. With the Outpouring, God would heal in the worship. It was incredible as a worship leader to see God use it in that way. But the healings haven't stopped. It's a new season, but it's more like a new chapter in the same book than a separate book. Healing is still a foundational value and something that we pursue." Ryan is no Black Country man. In fact, he was born in Zimbabwe. The worship leader has vivid memories of his early years in Africa. He said, "I distinctly remember when I was about seven and we were at a school fair, someone was doing karaoke. I'd never seen that before, but I was absolutely enthralled by it. I had dreams that night of me singing on a stage. From that young, I remember God putting some kind of seed in my life. I grew up in a Christian home on a diet of Christian music, because we went through a movement where secular music was seen as bad - so my parents burnt their Bee Gees albums and their Beatles albums. I grew up on Michael W Smith, Steven Curtis Chapman and dc Talk. My dad had a guitar - a classical nylon string. He could play three or four chords to lead worship in his home group. I went through a season as a young teenager of trying many different hobbies. I was never any good on the sports field, which was a huge part of the culture in the southern hemisphere. One day I picked up my dad's guitar, thinking it would just be another hobby. After a week my dad had taught me all the chords he knew, and I was playing it every day. It grew from passion to passion. I found a bit of identity in it, I think - something I could call my own. I started writing songs and leading worship in the home group." Ryan's church was a Vineyard fellowship. The worship music emanating from America's Vineyard churches was a great influence on him. "I'd listen to all the Vineyard albums, the 'Touching The Father's Heart' series, people like David Ruis, Brian Doerksen, Kevin Prosch and Rita Springer - they were pretty key influences back then. I got a youth band together. I often joke, but it's the truth: we were the second best rock band in the country, because there were only two! That was a key part of me moving to England. My heritage was British, we'd come here many times on holiday. If I wanted to stay in Africa, I'd need to make music that was relevant to the general population, the culture, and that wasn't who I was - I was much more a rock music guy, pursuing that kind of thing. I knew I had to be true to myself, so when I was 18, soon as I'd finished A-Levels, my parents let me leave. When I arrived in London I went around a couple of studios in the area. I was living with my grandmother in Stratford; I was looking for a job as well. I went to studios often and asked to be the tea-boy. I sent demos around, I applied for university to study music. I did try things like that, and it got a bit desperate. No one would give me a job except the council - they offered me a job as a street sweeper. I had made a connection in Zimbabwe with a Christian charity, a performing arts group called Saltmine Trust, based in Dudley. They heard that I was in England and the day before I was meant to start sweeping the streets of London they called and said, 'Would you like an internship?' Anything was better than three am mornings! That's what brought me to Dudley." Ryan continued, "When I came to Dudley, I was actually looking for a Vineyard church. But different denominations have different flavours in different countries. The church at Revival Fire felt the most like the kind of church I wanted to go to. It was real free - a lot of freedom to let God move. I would just go along and be part of it. I eventually got involved after about a month with the youth leader, a beautiful young lady called Anna, who I've since married. I started leading worship for the youth. In about three months they saw what I was doing with the youth and invited me onto the main band. I would play guitar and sing, and in about six months they got me leading songs alongside Sharon Baker. During that season my internship finished with Saltmine; I was applying for universities. I got into Coventry Uni to do graphic design, but it didn't feel right, because Revival Fire was doing a Bible school. So I went to their Bible school and afterwards started helping out in the office, just as a volunteer, and basically served my way into a bit of part-time employment. That was nine years ago now, and I've since moved onto full-time employment, taking on different positions in the church. For a couple of those years, Sharon was the worship pastor and I would work for her - administering the team, organising practises, setting up gear. I learnt a lot in that season." Ryan's first recording opportunity came in 2004 with the live album 'So Close'. He remembered, "I'd written a couple of songs and Sharon - who already had a few albums to her name - had some more songs ready for a live project. We recorded it and the songs blessed people. It is now long out of print, but was great to have as a first project. Four years later, in early 2008, both Sharon and I had written some more songs which were working well in our church worship settings; we knew it was time to make the most of our current platform. Through Mike Rimmer, producer Paul Burton got involved and it just so happened that we had made plans to record before the outpouring started. The Outpouring raised a lot of profiles, so we had the opportunity to record live and tie it in with a conference God TV was streaming. We recorded 'Live Worship From The Dudley Outpouring' and God TV put it on the air." Ryan spoke about the process leading up to the recording of 'The Deepest Part'. "Since the second live album, I knew that I wanted to do a debut album that was studio based. I love live albums, but I find they can have a shelf life. They have their place because they capture a season. But I wanted to do something with a bit more longevity. Through the live worship album I got to hang out with Kevin Prosch, which was a huge privilege. I got to grow relationships with some of the people in Redding, California and talked with them about getting stuff done there. I was also talking with Paul Burton about the follow-up studio album. And Dan Bowater, who had done an album for Sharon. I pursued all of this, but plans just never came together. I really wanted to do something different; it's such a dangerous thing to say, because I don't want to sound proud. But I wanted to find my own unique sound." 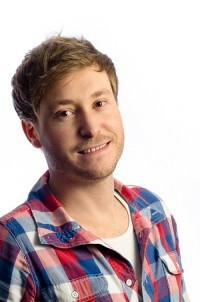 Musician Haydon Spenceley recommended that Ryan contact studio maestro Julian Kindred (Delirious?, Graham Kendrick, Rebecca St James). Ryan Facebooked the producer/keyboard player. Remembered Ryan, "I sent Julian demos and he invited me down to meet him. I wanted to push my own boundaries. I didn't want to sound like anyone else. But at the same time, I didn't know what I should sound like; I wanted to develop my own sound. People say, 'You're African, do you sound like Africa?' I'd say, 'No, I don't, but there's got to be a different element to my message or my passion, because of my heritage'. I needed a great producer behind me to draw all those sounds out. The other thing that happened which was incredible was that the day after I met Julian and knew the budget I had to raise, I made a few phone calls and members of my family managed to put together the amount I needed. That money had never been there for two years of pursuing other contacts. It was like, 'OK, this is the right thing'. The process of the studio environment compared to the live one was difficult at times, and it was good to fall back on this testimony and know that this was the right thing to be doing." Delighted with the album, Ryan named two or three of his favourite tracks. "I feel really confident about the radio-friendliness of 'I Am Yours'. There's this '80s vibe to it that is really retro but cool and happening in the modern scene. I love 'Here Is A Love', it's moody, it's in a minor key and I was able to stretch the lyrics a little more. There's a really interesting lift we do in the instrumental with a semi-tone key change. I also love the outro to 'I Love Your Presence'. That whole track is six minutes long, but we have a two and a half minute outro where we let everyone go for it - no singing, just let the music carry you somewhere." With doors opening up for Ryan, he remains very focused not to do anything out of selfish ambition. He said, "I feel more at peace in the last 18 months than ever with this. Part of the things that have helped is the Scripture that God gives you the desires of your heart. It's been such a journey getting here - just allowing selfishness to die, then moving on with life, and enjoying every single stage that God puts you in - every single platform God gives to you, whether it's leading worship in a home group and being contented with that, as opposed to wanting radio play or wanting articles in newspapers, wanting people to see your CD on shelves. Just being contented with where God puts you has been a real key. The other thing is I've had lots of prophetic words about what God wants to do with my music; that kind of stuff comes in and encourages when you've tried every avenue and nothing's happened. When you've heard from the Lord, you see afresh that maybe it's okay to dream some of these dreams, as long as you try to walk with humility and honesty - which for me looks like walking in relationship with people, friends and family. It's a joy to know that music is something God wants me to do." Lovely article. I have been priveledged to be part of Revival Fires Ministry at Dudley as a regular visitor for many years and appreciate all that the Holy Spirit has done as outlined above by Ryan. It is flowing over into Manchester because of the impartation that I have received.